coat (similar here) and jeans (here): topshop / jumper: H&M (similar here) / bag: chloe (similar here) / boots: vivienne westwood (here) / watch: MK (here). so it definitely feels like autumn in the UK, doesn’t it? as a coat and boots addict, this time of year is definitely my favourite, although those sections of my wardrobe are screaming ‘nooo’ everytime i open them. 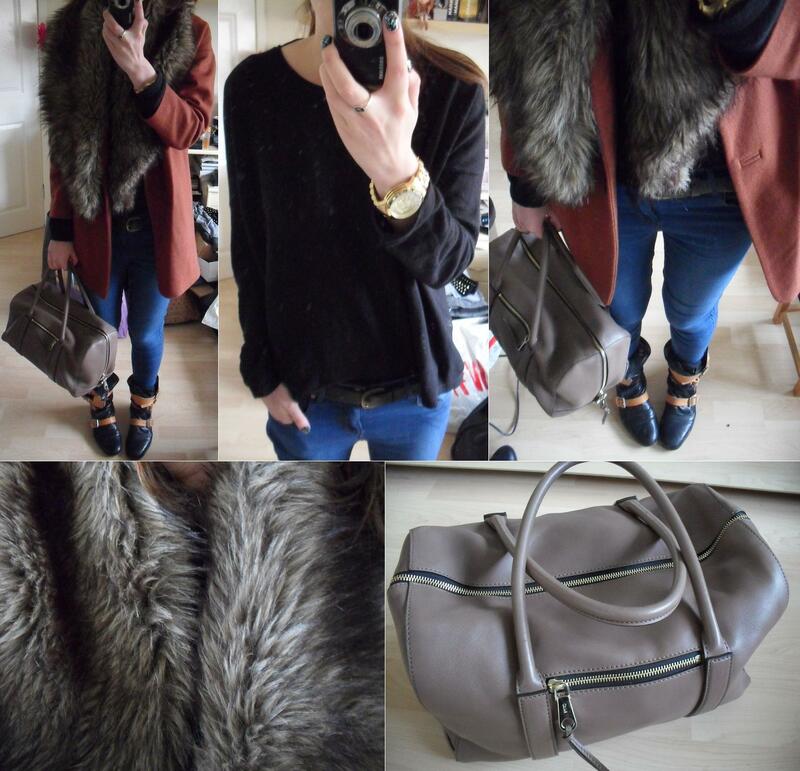 fur collars and coats are a big autumn/winter staple for me as i am always cold, even in summer. i sleep with pj’s, a huge duvet and a dressing gown over the top at home and a gigantic fur throw at my bf’s. stupid underactive thyroid. on the plus side, at least i’m always cosy. anyways, typical day in the life of helen with a trip to the boy’s house. haven’t got much to tell as i’ve started uni again so i’m trying to get my head around that. so. much. work. oh, and using a mac will be the end of me! they’re pretty and everything, but i’ll stick to having the ‘x’ on the correct side and pay £1k less for the privilege with my little sony vaio, thank you. anyways, as promised in one of my last posts, here’s what i bought from MUA. (clockwork from left) immaculate collection palette, undressed palette, dusk til dawn palette & heaven and earth palette. (clockwork from left) BB cream in light rose, lip boom in omg and doin’ good, mosaic blusher, lip balms in sugar lips and great lips, shimmer kisses bronzer and blusher. as i’ve never used MUA makeup before (apart from one nail polish) i thought i’d pick up a few things. they do quite a lot of freebies on their website and i received the immaculate collection palette as one of them, how lovely! i’m looking forward to trying these out, actually, so i’ll keep you posted on what works and what doesn’t. also, i’m looking for some guest bloggers, so if you would like to participate, please send me an email at [email protected]! thanks. ps. i’d like to properly introduce you all to the super cute affordable jewellery shop tribal blaze, who is my level 3 sponsors this month! you can get 15% off with the code ‘thelovecatsinc’, so buy some stuff! pps. if you’d like to advertise on this blog, check out my sponsors section and send me an email!